Rory Fitzgerald, Director, ESS ERIC. Welcome to the site ‘Measuring and reporting on Europeans’ Wellbeing’. This site presents findings from the European Social Survey (ESS). Our aim is to showcase the wide-ranging scope that ESS data provide for exploring the definition, distribution and drivers of subjective wellbeing across Europe and to encourage you to make full use of ESS data in advancing society’s understanding of these important issues. Questions regarding what constitutes subjective wellbeing and how both individual and societal wellbeing might be improved now occupy a prominent place on research and policy agendas. 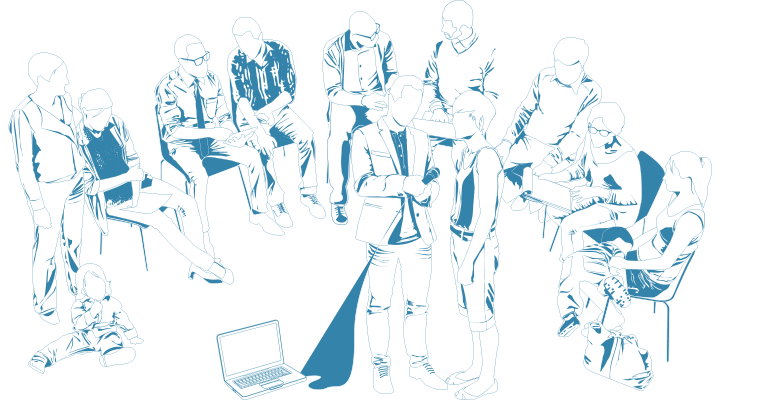 Cross-national surveys such as the ESS, which provide high-quality comparative data on public attitudes and behaviour, have an important role to play in answering these questions. The Core Scientific Team of the ESS European Research Infrastructure (ESS ERIC) has collaborated with leading experts on wellbeing in Europe, as well as prominent researchers in fields such as sociology, political science, psychology, demography and geography, to identify some highlights from the rich research into wellbeing being carried out using ESS data. By making a variety of innovative, methodologically sophisticated, and policy relevant findings easily accessible via this interactive website we hope to make a valuable contribution to both academic and policy debates around wellbeing.  Some of the highlights from the ten contributions investigating wellbeing presented here include an exploration of the complex, multidimensional nature of subjective wellbeing. ESS wellbeing data not only enables conceptual differentiation between ‘being happy’ and ‘flourishing’ but also provides a valuable source of data for exploring additional dimensions of individual wellbeing – evaluative, emotional and community wellbeing as well as functioning, vitality and supportive relationships. ESS data can also be used to explore wider societal wellbeing and investigate whether people think they live in a ‘decent society’. Other contributions focus in depth on specific aspects of wellbeing including work-life balance or experiences of depression. Contributions draw on the rich variety of topics addressed by the ESS to fully explore different drivers of wellbeing. For example, combining ESS data on wellbeing with data on Europeans’ understandings and evaluations of democracy provides exciting new evidence of an important link between democratic performance and wellbeing. ESS data on individuals’ experiences of work and family life emphasise the important role that working conditions have to play in influencing wellbeing. The ESS also allows researchers to explore the experiences of particular subgroups within the population, for example, migrants from eastern to western Europe. Several of the contributions focus on differences in wellbeing between men and women. Comparing the wellbeing of parents and non-parents reveals that whilst fathers are generally happier than non-fathers regardless of where they live, whether mothers are happier than non-mothers depends on whereabouts in Europe they live. All of the research presented here offers a comparative, cross-national perspective and illustrates how experiences of wellbeing can vary significantly across countries. Many of the contributions draw on contextual data from outside the survey to explore how institutional, societal and cultural differences between and within countries might explain this variation. For example, the gender gap in depression is found to be greater in more gender unequal societies. Within countries, we find that regional differences in air pollution may be linked to sub-national differences in life satisfaction. We hope that you enjoy exploring the site and finding out more about these and other aspects of wellbeing covered by the ESS. Of course, this site provides only a snapshot of research examining Europeans’ wellbeing. There is plenty of scope to explore the topic further using ESS data. Throughout this site there are links to “find out more” which we encourage you to explore. Further information and resources about the ESS, as well as the data themselves – all of which are free to access – are available at europeansocialsurvey.org. The support of the UK Economic and Social Research Council in making this microsite possible is gratefully acknowledged. 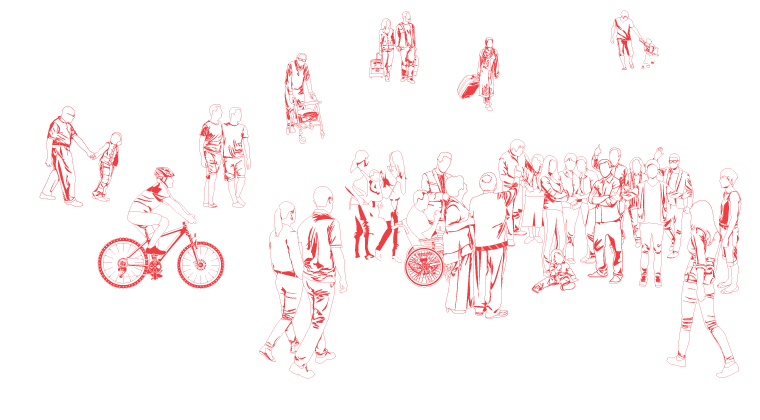 The European Social Survey has been collecting methodologically robust cross-national data on wellbeing every two years since 2002, providing researchers and policymakers with a rich dataset with which to explore Europeans’ wellbeing. The survey includes summary measures of subjective wellbeing as part of its core questionnaire and more in-depth data on wellbeing as a part of thematic ‘rotating modules’. For policymakers or individuals to increase wellbeing depends on them understanding what might influence or drive wellbeing. 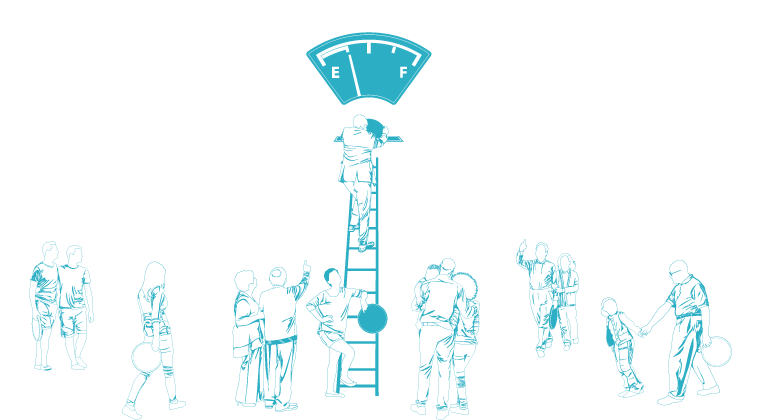 Subjective wellbeing may be influenced by a wide range of individual and societal factors. The relative importance of different drivers is likely to vary across countries and across different groups within society depending on their circumstances. 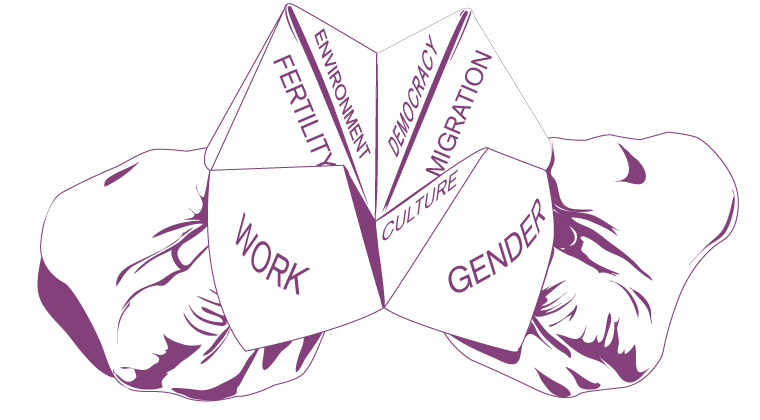 The seven contributions below use ESS data to explore a number of potentially important drivers of wellbeing across European countries: work, gender, parenthood, migration, the environment, democratic government and cultural values. THE EUROPEAN SOCIAL SURVEY (ESS) IS A EUROPEAN RESEARCH INFRASTRUCTURE CONSORTIUM KNOWN AS 'ESS ERIC'.